I didn't have any doubt this would happen, wasn't a huge fan of Kaze Tachinu though. According to this staff application, this will be FINAL long length movie. Title: Kimi-tachi wa Dou Ikiru ka (君たちはどう生きるか), based on Genzaburou Yoshino's novel in 1937. It also has manga that published this August. Just stay away dude....anime is in another realm now....it's too late....there is no going back. I feel like we do this every five years or so. Like the bum friend who always sleeps in your couch except he's a visionary director and we're always glad when he crashes at our (Ghibli/Disney's) place. I knew it!! 'retirement = taking a break' in Miyazaki's head. Here's wondering if he was allowed to visualize what Kaze Tachinu was actually supposed to be. Wow...What a surprise, he's come back. The dude has retired, what, six times now? Oh nice. I'm hoping he can make another classic. I doubt he'll retire any time soon honestly. Was expecting this, but still good. Looking forward to see the new film! He has officially un-retired. Which is good. 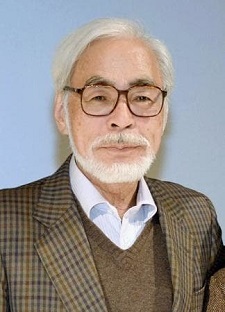 I hope he can enable a Studio Ghibli revival. who belive his retiring even real? And in the other news the true saviour or anime will also announce his comeback for a new anime film. Coincidence? I think not. It would be way better if the whole romantic plot was cut off and they focused on the right points. How many times has he retired now? 531?